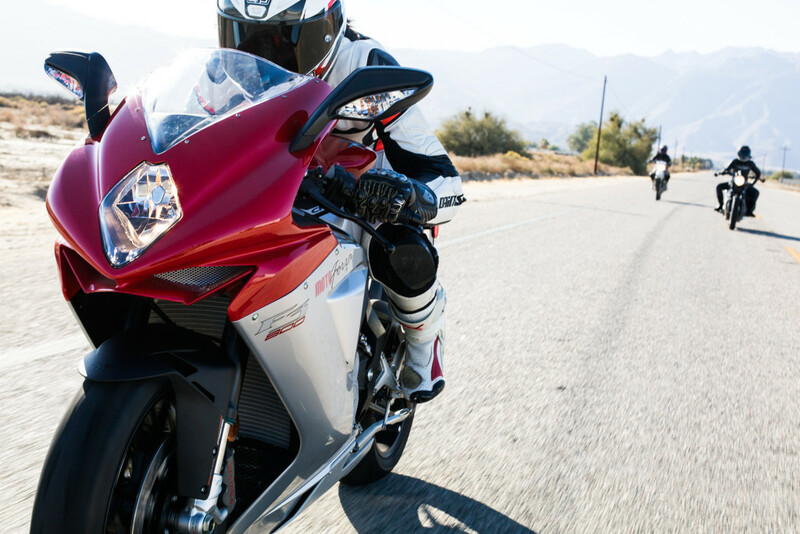 Lanakila MacNaughton of the Women’s Moto Exhibit photographs lady rider and entrepreneur Jen Dunstan on a MV Agusta F3 800. You may remember Jen Dunstan from the post about her motorcyclist wedding at the Chuckwalla Valley Raceway, “Souls at Speed”. In the years since, Jen started Fable Riders– a company specializing in performance base layers made specifically for women. Designed by women, for women, tested and refined by racer Melissa Paris. Riding for about 15 years now, Jen started out at 16 on a ’85 Honda Rebel 250 with the help of her parents. Before she was born, her Mom worked for Harley Davidson, and her parents both learned how to ride together (and still do). In her college years she swapped out the cruiser for a Suzuki SV650, later getting bitten by the racing bug. In 2007 she was introduced to the United States Classic Racing Association in Loudon, New Hampshire and started racing on a 1974 CB360 Honda. In 2010, she moved West to California, leaving her vintage racing days in her home town of Norwalk. 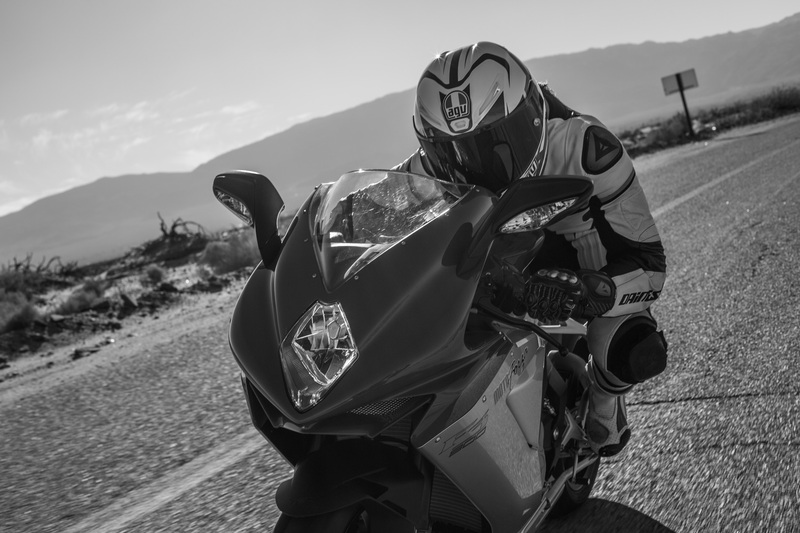 Now armed with a CBR600RR, she started to race with the Chuckwalla Valley Motorcycle Association. Her stable now includes her trusty 2002 SV650S, Honda CBR600RR racebike, and her new 2014 Yamaha YZ250F dirtbike. Photographs by Lanakila MacNaughton, copyright Women’s Moto Exhibit 2015. Thanks Lana!